pick three items from the table below - Which will you choose?! 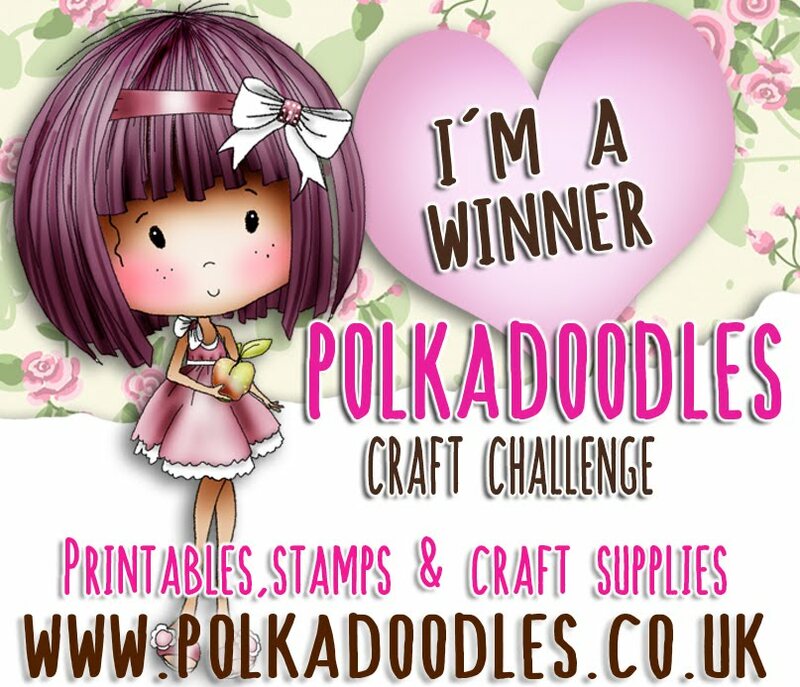 Don't forget, you do not need to use Polkadoodles products to enter our challenges. 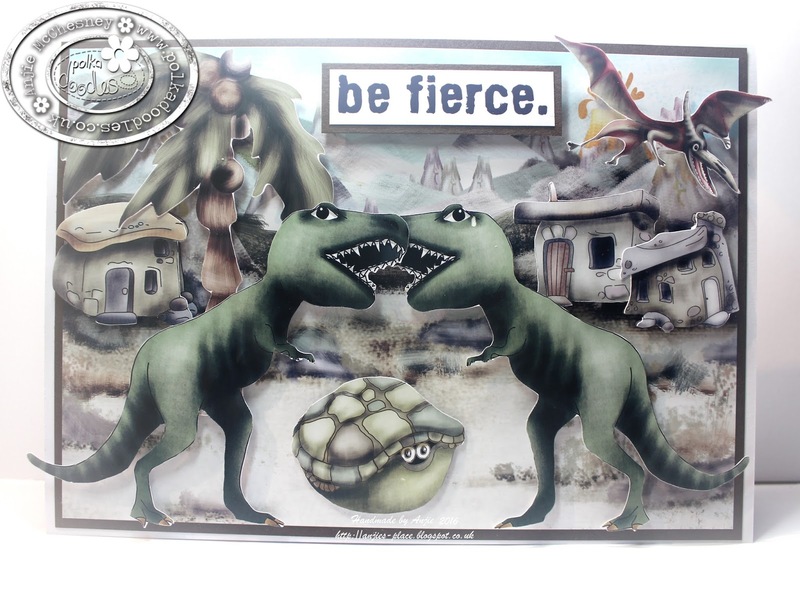 The few rules we do have are over there in the side bar -----> Please remember only 2 entries per person. You have until Noon, GMT, Friday 11th March to enter. $10 voucher to the Polkadoodles download store. and the cutest little lady bug Lily Bug Love collection. Why not go check out the store now! You can get the full collections or even the fabulous smaller bundles they are amazing and contain so much! 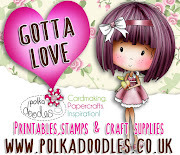 If you havent joined us on our Facebook group POLKADOODLES CRAFTING yet make sure you come over and join us - you'll get all the heads up on our weekly special offers and launch party deals, so head over and join in the fun with us all! Jenny - Tic Tac Toe is the challenge and I have used the new Sticks and Bones collection for my card. I have made the entire card from bits left over from other projects, the topper is from a design sheet and backing papers always have bits left that usually get wasted because you put them to one side and they end up getting creased. My line of choice is sentiment, lace and flower, I love the circular sentiments and now I have a die which is the right size it makes using them a breeze. 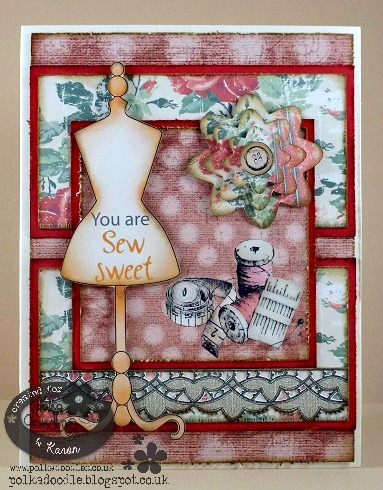 Karon - I used the third column for my Tic Tac Toe card, Sentiment, Lace and Flower. Returning to an older collection is always good fun, you never know what you might find. 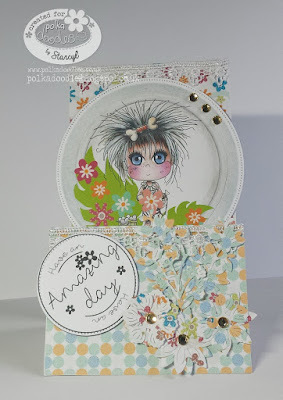 So, everything on my card is from the All Sewn Up collection, you can get it as a small bundle on it's own or you can buy the full bundle Studio 12 Picknix 1 - which this collection is part of. All the edges of all the layers were inked and some were place on foam tape to add some dimension. 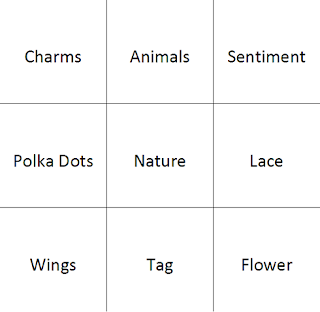 Jackie - I have chosen to use wings, polka dots and charms in my take of the tic-tac-toe challenge. The Serenity Dancing digi I have used is available on it's own or in the Serenity collection. The gorgeous range of papers I have used are also in the collection. Details on my blog for colouring. 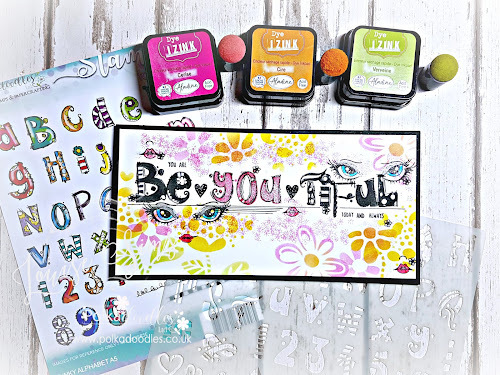 Scatty Jan - For this weeks make I used the wonderful Lily Bug Love collection and for my Tic-Tac- Toe, I used Wings, Nature and Sentiment. I love all the pretty papers, such a beautiful girly collection that would fit many occasions. I made a cute little box cut on my portrait, which holds a few chocolates ...yummmy!! How cute are those bugs!! Melanie Smith - here using the beautiful Serenity Princess digital stamp. 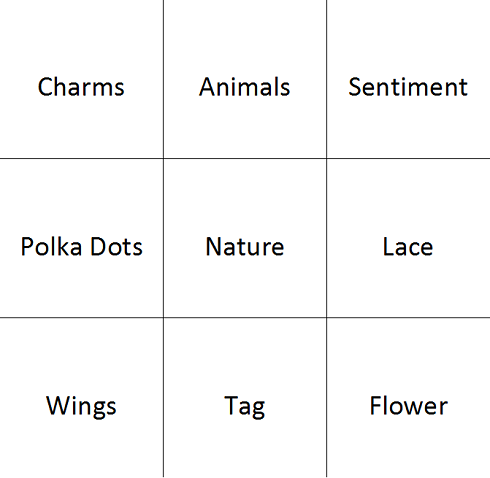 For my Tic Tac Toe I have used "Wings, Nature, and a Sentiment"
Fabulous inspiration. Now it's over to you! Lucky Green challenge winner and top 3 will be announced next Friday. Can't wait to see your fabulous creations. We love coming by to visit your blogs. Remember only 2 entries per person please. flowers and chocolates for Valentines Day! 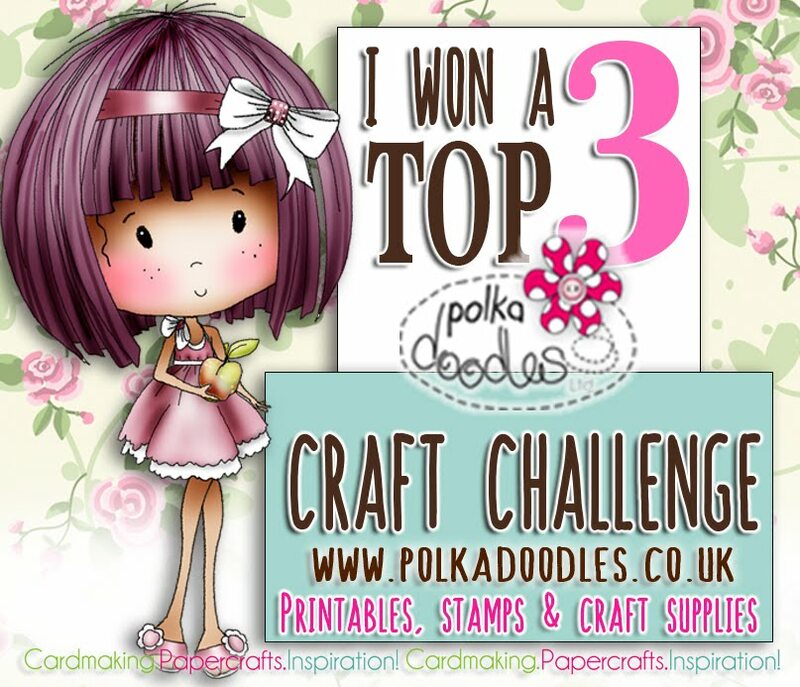 Don't forget you do not need to use Polkadoodles products to enter our challenges. Please remember, that the limit is 2 entries per person. you tune in to catch some loveliness, she will be unveiling a brand new collection which you will just adore! 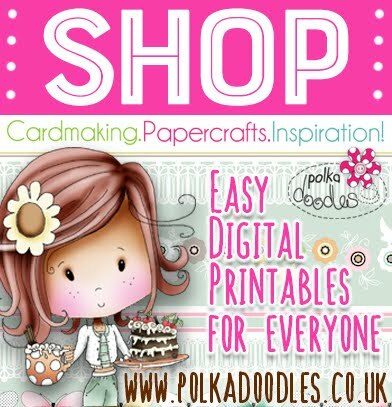 Make sure you sign up for the Polkadoodles newsletter, then you will never miss all the news and special offers that come along. 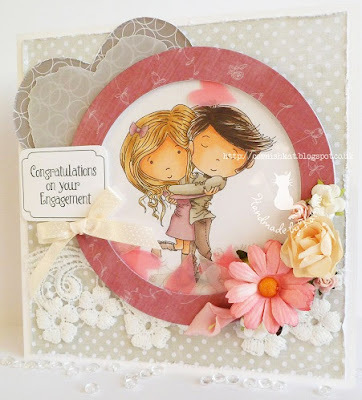 The winners of our Love & Romance challenge will be announced at the bottom of this post. 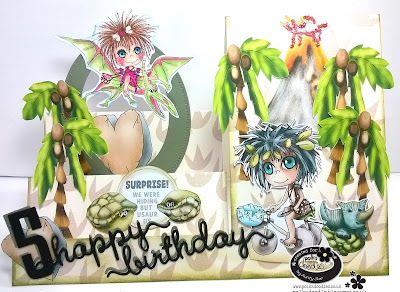 Lets see what Lucky Green inspiration we have for you from the Design Team. Aunty Sue - Hi as soon as I saw the word Green I thought of all the Green Trees and elements in the new collection STICKS & BONES and just had to have a play. I have made a Stepper card so I could add different layers of elements. I have used a pre-coloured image and elements from one of the Topper sheets and also a Digi which I coloured and placed on the oval as if she had just flown through. I think they are all off to a party don't you. You can get the whole collection as a download HERE. Topper sheet and digi can also be purchased on their own. 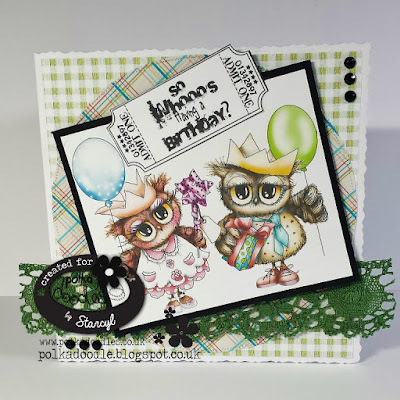 Jenny - Lucky Green is the challenge and I thought of these two cheeky birds straight away, after all someone bringing you birthday goodies is very lucky indeed. I use a pre-coloured image from Twiggy and Toots but also the backing papers from the new Sticks and Bones collection. Mia - I made a Clean and simple card using the Sticks & Bones Collection. I have used some of the papers and one of the digi stamps. Please see my blog for more details. 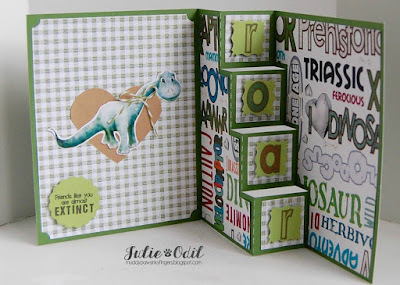 Ria - For my lucky green inspiration I used this cute Dino from the Sticks & Bones Collection collection. I used watercolouring pencils to colour the little Dino. 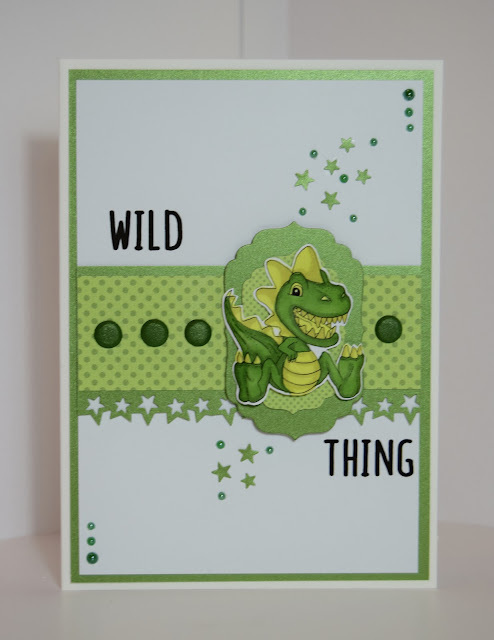 Jackie - Green brought to mind dinosaurs and there are certainly lots of those to choose from in the Sticks and Bones collection. I coloured this digi from the collection using Copic markers. The photo frame, paper and caption are also from Sticks and Bones. Melanie here sharing my "Green" project with all of you. 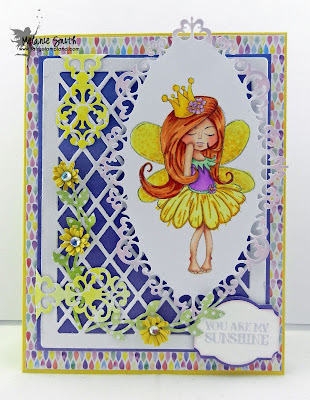 I have used the "Serenity Dancing" digital stamp from the "Serenity Collection" I absolutely love this entire collection. Congratulations! You have won a $10 voucher to the Polkadoodles download store. Please contact us HERE quoting PD07001Wk04 to claim your prize. Congratulations everyone and don't forget to take your winners badges from the side bar. enjoy stopping by and visiting you blogs each week. 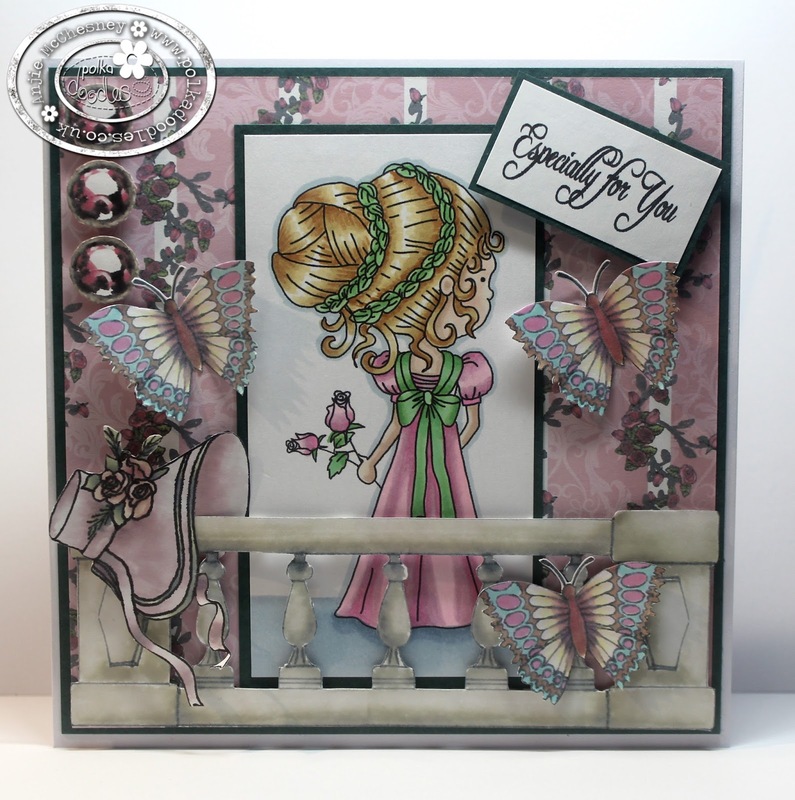 Katrina - So happy to be taking part once again as Guest Designer. I couldn't resist using the Sticks and Bones collection for my latest creation. I have made a Good Luck with your Driving Test card. This image is also available as a digi download for you to colour, Riding High. 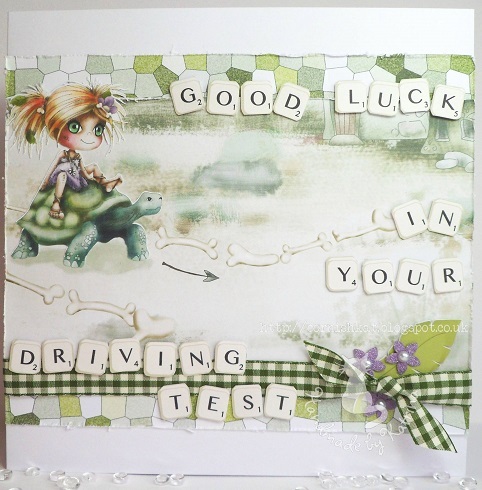 Ruth: Can't resist a cute good luck! 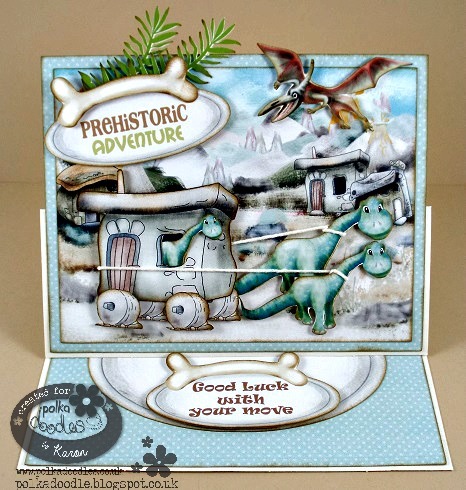 Everything (apart from the dino charm) is from the Sticks and Bones collection - I've layered up using foam pads and added glossy accents to the letters for a more prehistoric look! 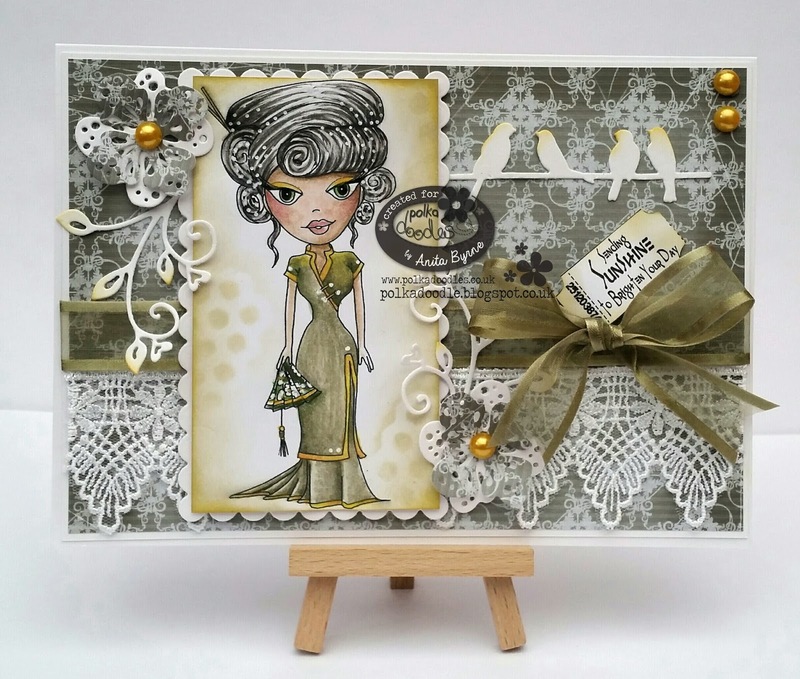 Anjie - Everything I have used on the card is from the collection. I have used a background scene image but printed some extra houses out and decoupaged them. I have also mounted the tree and all the dinos on 3D foam to make then stand out. Julie -- 'Lucky Green' - perfect for the new, fun Polkadoodles Sticks and Bones Collection! Available in CD and Digital Download. I thought a green dinosaur would make the perfect friendship card. The papers, alphabet (spelling out 'Roar'), sentiment, and dinosaur are all from the Sticks and Bones collection. 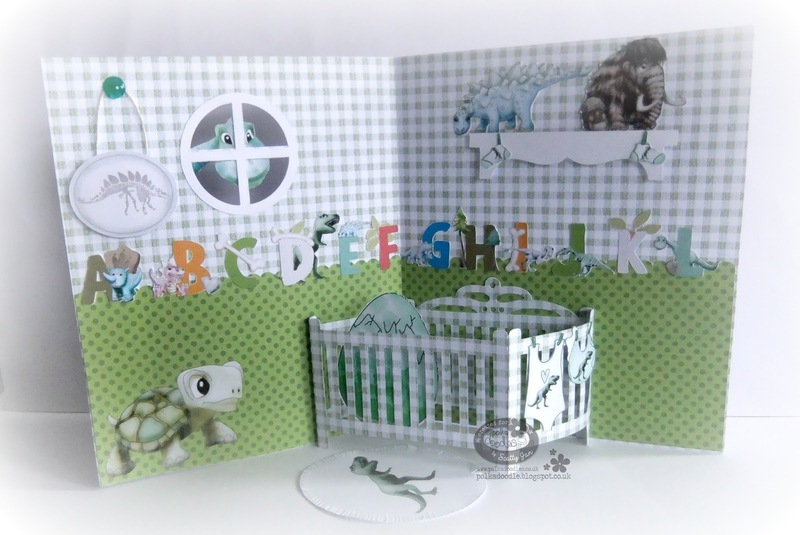 Caz - For my lucky green creation i have used the cute digi image called Just sitting here...I have sat her on the pre coloured image Tortoise-turtle-5. These can also be found, along with the frame, and papers..In the fab Sticks n Bones collection, either on cd. or if you prefer download. 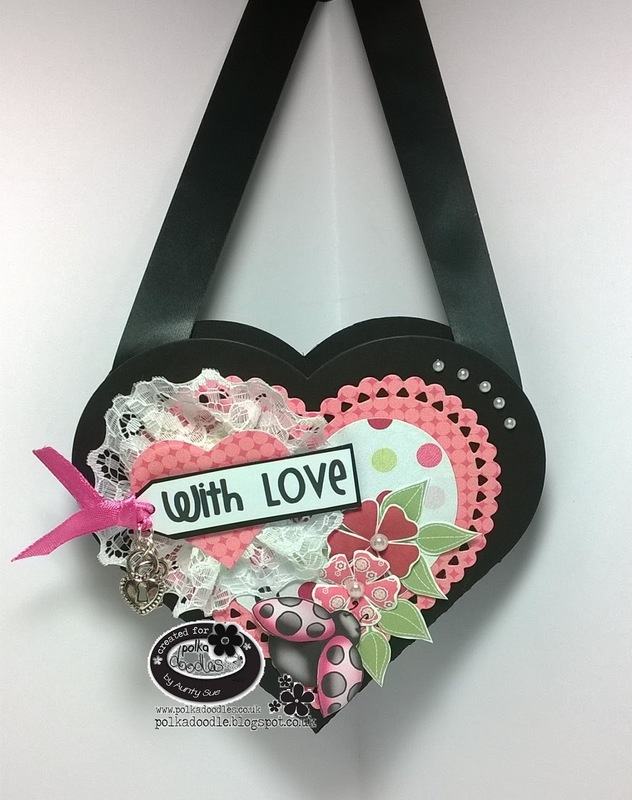 Bev here with something a bit different (for me) this week I used the Sticks and Bones collection to make a keyring. It's such a cute collection. I can't put it down! 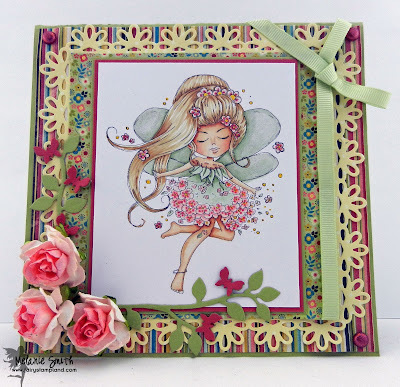 Dollie goes East Collection and for the backing paper just to show how nikky's collections work so well together I have chosen my backing paper from the yummy Rose Budd cd Collection. Claire C I've used lots of elements from the fabulous new Polkadoodles collection 'Sticks and Bones' which you can find here as a CD or here as a download, the paper, image, sentiment flowers and leaves are all printed from the CD and just added some embossed card, Doodle Dewdrops and a few little pearls from my stash. Don't forget to check back next week for more inspiration and the winners of our Love & Romance challenge - Have a great week! You can make Anything you like as long as it follows the theme. 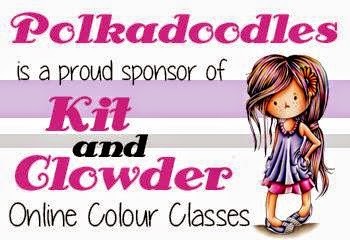 Remember, you do not need to use Polkadoodles products to enter our challenges. The few rules we do have, are over there in the side bar ---> You have until Noon GMT, Friday 12 February to enter and our Random winner for this challenge will receive a $10 voucher to the Polkadoodles download store. Julie -- There are so many collections in the Polkadoodles store that would be excellent for our "Love and Romance" challenge! I used Cupid from the Work and Play 9 Digital Collection. It's also available in a CD. 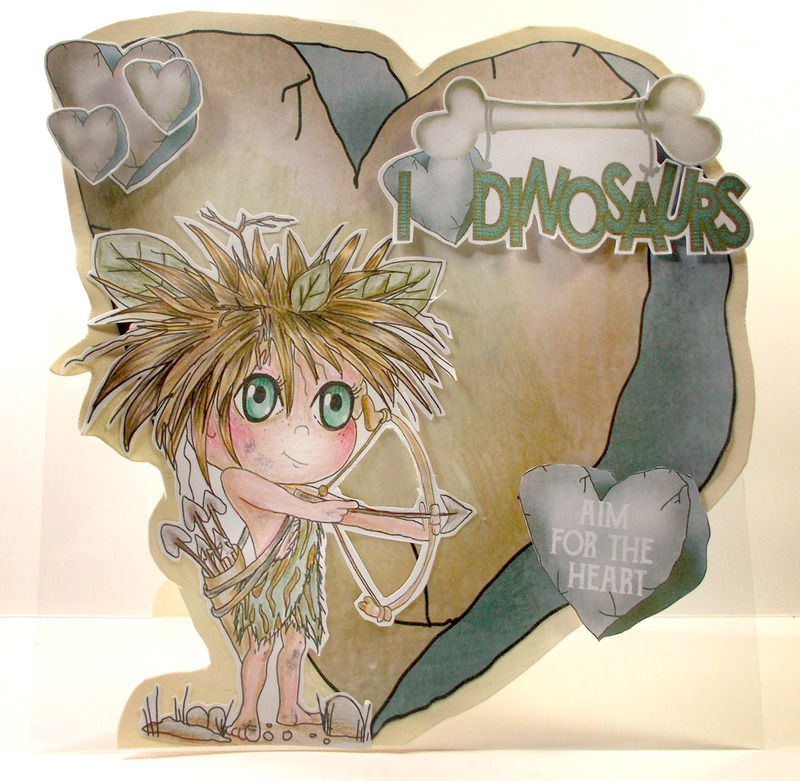 I colored Cupid with Copic markers. The designer papers and the sentiment tag are all part of the Work and Play 9 - Love and Kisses Digital Download. Anjie - I have used the pretty Rose Budd collection for everything on this. You can also get the image, Miss Charlotte as a clear stamp. I've cut out the balustrade and mounted it on 3D foam to make it look like she is stood behind it. I have used my Graph'It Markers to colour her. Caz..For my creation i have used everything from the fab new collection Sticks n Bones collection available as a download. or if prefer a cd. Ive used the pre coloured image called Ride with me. More detail on my blog. 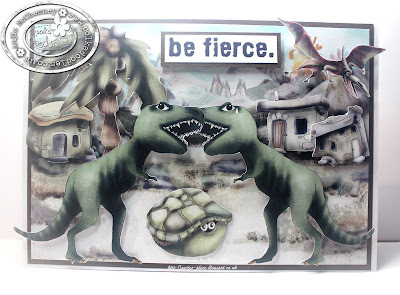 Bev here with my inspiration this week. I'm currently addicted to the Sticks and Bones collection and coloured this digi up with my Graph'it markers, everything else except the distress ink, markers, ribbon & gems is from the collection. Ruth: I've gone a bit cute for this challenge! Used the very delightful Winston cd to make an Anniversary card for a male - just enough cute and blue to make it work! A bit of light distressing and it's good to go! 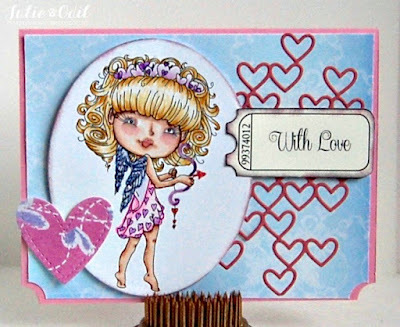 Anita - hi there everyone today I had fun playing with the Work and play 9 - Love and Kisses collection I have chosen Cupid and the yummy backing paper is from this collection too, I have coloured using pencils. Claire C I've made this card using one of the gorgeous images and some of the precoloured embellies from the new Sticks and Bones collection, the image is called Aim High and you can find him here as a digi stamp or you can get the whole collection here. I cut the image out and popped him on to the large heart with 3d foam pads and layered it all up over a sheet of acetate to help it stand up. Such great makes this week, we love them all and can't wait to see what you come up with too!